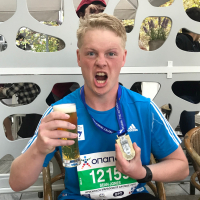 I've just signed up for The Authentic Marathon / Athens on Nov 11th 2018. Anyone else thinking of doing this or has signed up? It'd be great to hear from you if you're doing it! 30 weeks and counting! I am planning to do this one (my second marathon), but I have had some problems getting confirmation of my entry. Have you got yours? I paid and registered in April (the date of the original post), but can't find an email to say that I am in! Quite worrying, especially as I get no reply from any of the social media contacts or email. My confirmation email went into my spam folder and it was only by accident that I checked. Have you looked in your spam folder or equivalent? Hello Martin, how exciting to find someone who's run this before! It must be good if you've done it 7 times? (Blimey!) Does this race have pace runners? I've just emailed them to find out but doubt i'll get a response so it's great to hear from you. And for the record, just how bad are the hills in the middle section? What time bus to Marathon do you catch? Am thinking it's going to be a reasonably early start on the Sunday. And I'm thinking we're on the same flight from Manchester on the Friday!! It'll be the trainers that give us away!!! hello martin, thanks for such a useful response, you've answered all those niggly Qs i needed to know to put my mind at rest. I'm an old fashioned "find joy in the journey" type marathoner so have no PB ambitions at all - my pace runner enquiry was because the only time i've time i've ever followed one I was startled at the (positive) difference it made to my last 6 miles. I've been doing my best to train on hills but am expecting this portion to be testin but what will be, will be! That said i really am looking forward to this event (tremendously) so am trying to not get too overexcited (yet). BTW, at the finish in the stadium, i assume other halves can get access to it & cheer us over the line? I do have a big favour to ask though. My flight won't land in Athens in time on Saturday to collect my bib number. They've told me that someone can collect on my behalf though; all they need is a copy (not original) of my ID to pick up mine when they pick up theirs. So, even though we're perfect strangers, is this something one of you would be happy to do? I'm more than happy to pay you a bunch for your time/effort/trust - especially since otherwise it means changing the flights. Sorry to ask this, I feel very foolish. Anyway, reply to this or PM if you can. Hi Luke , no problems , I’m more than happy to do that for u if it’s possible , guess your on an afternoon Aegean flight ? Hello Martin, gosh well done you for York! You're a machine doing another one so close; i doff my cap to you! Did my final 22 miles last week & think based on that run I'm aiming for anywhere between 4.02 & 4.20 - but as long as I get round & enjoy myself I'll be happy. Am counting down the days now & trying to keep a lid on it but this is proving difficult! Just watched a great video of the finish in the stadium & the hairs on the back of my neck were standing on end ps today's weather for 11th is rain - maybe it'll be more like York that you think. am sure it will pass though. Right ho then Martin, sun cream duly packed. As is my trusty hat. Got me round Majorca marathon (27-31 degrees). Looking forward to it all! Martin: thanks for being such a good running companion & a good sport all round: it was lovely to finally meet you and chat. the finish in the stadium was just as you said: awesome & something never to be forgotten. i made my plane to Dubai & enjoyed my holiday. thanks for all your help with questions. good luck next year! Hi @Hagler, last year registration was opened on April 18th and didn't close until September. I registered early and got in with no issues, although they didn't send the confirmation email for a few months (which was quite common, so don't let that worry you too much.). No worries Hagler. It's a great run, you'll have shivers down your spine as you run into the Panthenaic Stadium toward the finish line.